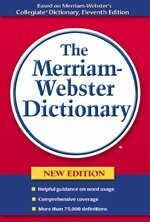 For a Free Merriam Webster Dictionary, visit the link shown below. This page also features links to free translations from English to many other languages. These links are composed of the 100 most common words known internationally, plus a number of useful phrase translations, translated from English into dozens of other languages. For more free printable items, see any of the links below. Chinese to English / English to Chinese translation. See this page for a printable list of Universities and PhD Programs in All 50 States and Washington DC. Printable list of Greyhound Bus Stations in All 50 States.